In 2018, The Black Tarot launched a successful Kickstarter campaign. 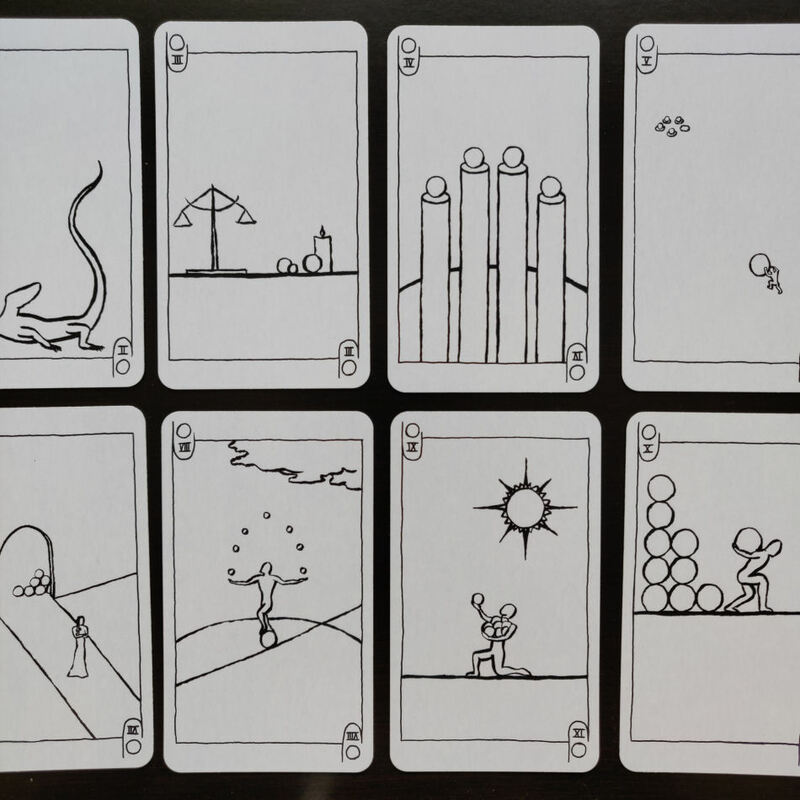 You can read more about the deck here on its official website. The minimalism of the deck is so intuitively well-attuned to our current zeitgeist, what with the KonMari tidying up speak joy method raging across the nation while every beauty, lifestyle, and health guru on social media is pushing the minimalism aesthetic. So the Black Tarot comes to us during interesting times. Stay with me here: I envision a fashionista with her hair expertly tousled, smoky eyes, silver studded rings on every finger, wearing black and heather gray, boots, and telling me the story of my life and what’s to come with this deck. Something about this deck just feels so in tune with what’s going on around us at the moment. The deck comes in a tuck box and one single card deftly sums up everything you need to know about its point of view and the structure of the suits.